If you’ve been following me for some time, you already know I love mint green tea, but now, I’m all about matcha in the mornings. 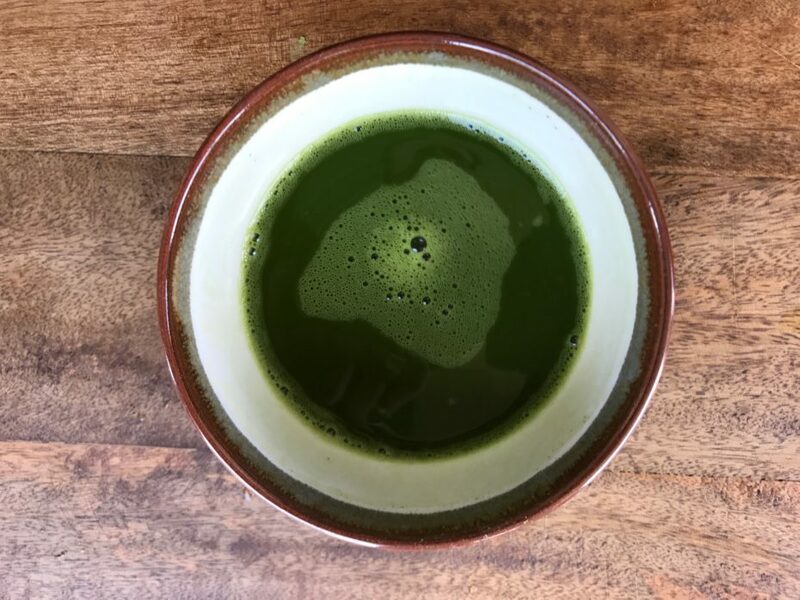 Matcha, an ancient Japanese green tea, is loaded with antioxidants plus a nice dose of caffeine (still not as much as coffee), and is said to improve mental clarity while also creating feelings of calmness. It’s perfect for drinking before my workouts or whenever I need a pick-me-up. There are a couple of steps to making matcha, and in Japan, there is a formal ceremony when preparing and serving matcha, but it’s really rather simple. Since it comes in a powder, you want to pass it through a sieve and then add hot water and whisk together using a bamboo whisk (I’ve been using this matcha bowl and whisk set, and this tea kettle, which allows you to adjust temperature, is life-changing.). Use 1 to 2 teaspoons of matcha (this is my favorite) per 2 ounces of hot water, and either sip it hot, or enjoy it in a smoothie or matcha latte made with matcha and almond milk. My friend mixes hers in a blender with some ice, vegan protein powder and powdered super greens for a great pre and post-workout drink. I like it straight up on the rocks, pouring the hot matcha over ice in a 12-ounce glass which I then fill up top cold water. It has the smell and flavor of seaweed, and unsweetened, may be a bit of an acquired taste for some, but then it’s pretty addicting.